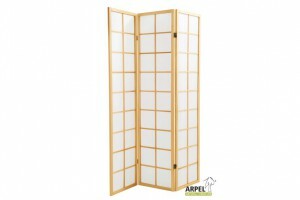 The traditional Folding Screen Nippon adds a touch of japanese flair to any ambience. 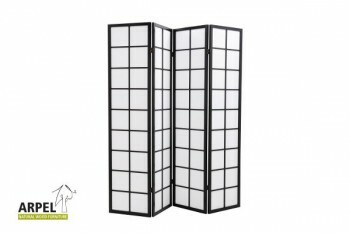 The wooden frame consists of 4 joined panels with washi rice paper covering, available in black or natural. 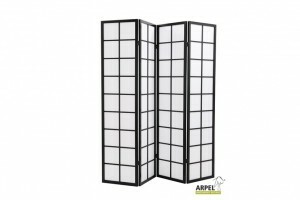 The grid is visible on one side only. Height 180 cm. Width of a single panel: 43 cm. Total weight: 5 kg.